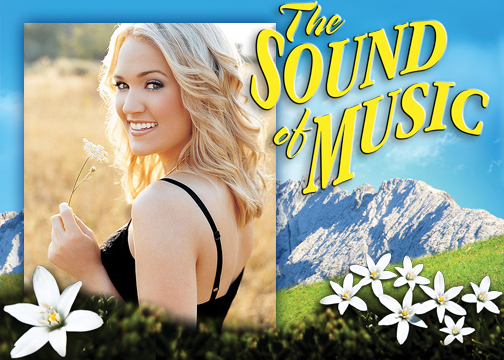 Five-time Grammy winner Carrie Underwood will star in the coveted role of Maria von Trapp in NBC’s live broadcast of “The Sound of Music,” based on the original Broadway musical, it was announced today by Robert Greenblatt, Chairman, NBC Entertainment. The live telecast of “The Sound of Music” will be a three-hour event on a date to be announced near the holidays in 2013. "We're thrilled to be presenting the Broadway version of ‘The Sound of Music’ live,” said Zadan and Meron, “and having Carrie Underwood as the star brings it to a new generation who will fall in love with it for the first time as many millions of people already have. It's a particular joy to us as producers to see this amazing artist stretch into new territory with this classic musical." "The Sound of Music," set in pre-WWII Austria, is based on the romantic true story of Maria von Trapp, an aspiring nun who leaves the abbey to become a governess for the widower Captain von Trapp's seven children and finds herself falling in love with her employer and questioning her religious calling. 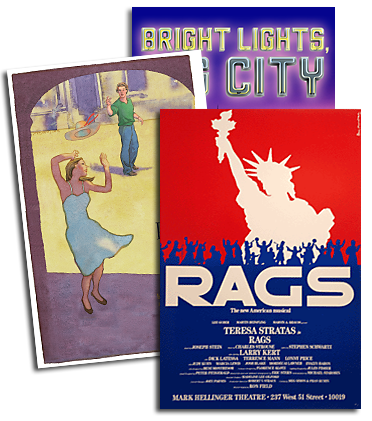 It premiered on Broadway in 1959, where it broke box-office records and won the Tony Award for Best Musical. The 1965 film version won the Best Picture Oscar. Today it is an evergreen classic -- as popular in opera houses and outdoor amphitheaters as it is in high school auditoriums. "The Sound of Music" features a libretto by Howard Lindsay & Russel Crouse and a score by Richard Rodgers (music) and Oscar Hammerstein II (lyrics) that includes "My Favorite Things," "Do-Re-Mi," "Edelweiss," and "So Long, Farewell." She’s won a vast array of awards, including three female vocalist awards from both the Country Music Association (CMA) and the Academy of Country Music (ACM). In 2010, when Underwood garnered her second win as ACM Entertainer of the Year, she became the first female artist in history to win the award twice. Underwood also received the ACM Triple Crown Award, thanks to her past wins for the categories of Entertainer of the Year, Top Female Vocalist and Top New Female Vocalist. Underwood also has won seven American Music Awards, six People’s Choice Awards, nine CMT Music Awards, nine American Country Awards, and is a member of the Grand Ole Opry. She earned a Golden Globe nomination for Best Original Song for “There’s a Place for Us” from “Chronicles of Narnia: Voyage of the Dawn Treader,” which she both recorded and co-wrote. She became America’s sweetheart in 2005 when she won the fourth season of “American Idol,” a vehicle that transformed her from a shy Oklahoma girl with a great voice to a budding superstar. Underwood’s 2005 debut, “Some Hearts,” topped Billboard’s Country Albums chart for 27 weeks, has sold over seven million copies, and was voted #1 Country Album of the Decade by Billboard. Her 2007 sophomore album, “Carnival Ride,” 2009’s “Play On,” and her current album, “Blown Away,” debuted atop the all-genre Billboard 200 chart. Over the course of four albums, she’s saturated country radio with such #1 hits as “Jesus, Take the Wheel,” “Before He Cheats,” “So Small,” “Last Name,” “Cowboy Casanova,” “Good Girl” and “Blown Away.” Underwood is currently headlining “The Blown Away Tour,” performing internationally and in arenas across the U.S. and Canada well into 2013. She was the top-selling country female touring artist of 2008 and 2010, as her headline arena tours have played over 100 shows and to over one million fans each year. Underwood expanded her resume making her film-acting debut in the 2011 feature “Soul Surfer,” following a guest TV role on “How I Met Your Mother.” She starred in her own holiday variety TV special in 2009, and has co-hosted the CMA Awards for the past five years. Underwood is managed by XIX Entertainment and repped by CAA. Carrie Underwood?? It's kind of surprising casting. It won't be nearly as bad as Glenn Close was in "South Pacific" though. The Broadway version of "Sound" simply is not as good as the movie version. And, is there ANYONE who hasn't seen the film version of "The Sound of Music"? Julie Andrews will forever be the quintessential Maria. The Sound of Music,is one of my favorite musicals,the entire production leaves joy knowing that God has everything going right and that he will fix what is wrong.Being the grandson of a Sephardic rabbi,tought me that God will hear and send his love to help everyone,Richard Rodgers,and Oscar Hammerstein gave us wonderful music,which is how God works his miracles.and one song which brings tears,of love,from carousel,You'll never walks alone is another song of inspiration.God inspired rodgers And Hammerstein,to inspire us.God bless them all.Thanks for the music.The music of love.